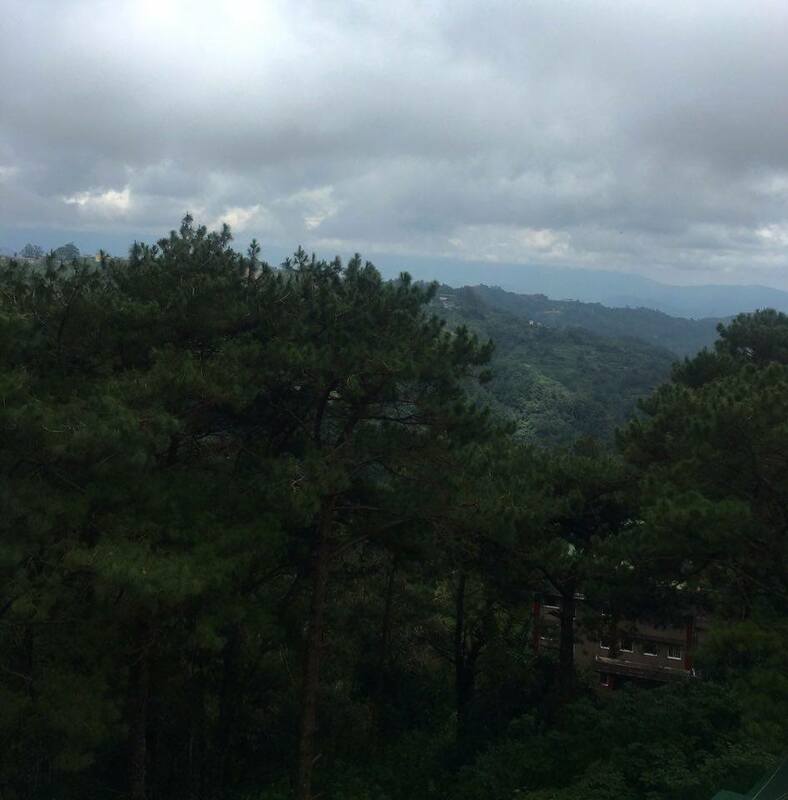 It was my second day in Baguio City and all I want to do that day was to rest, unwind and try something new. 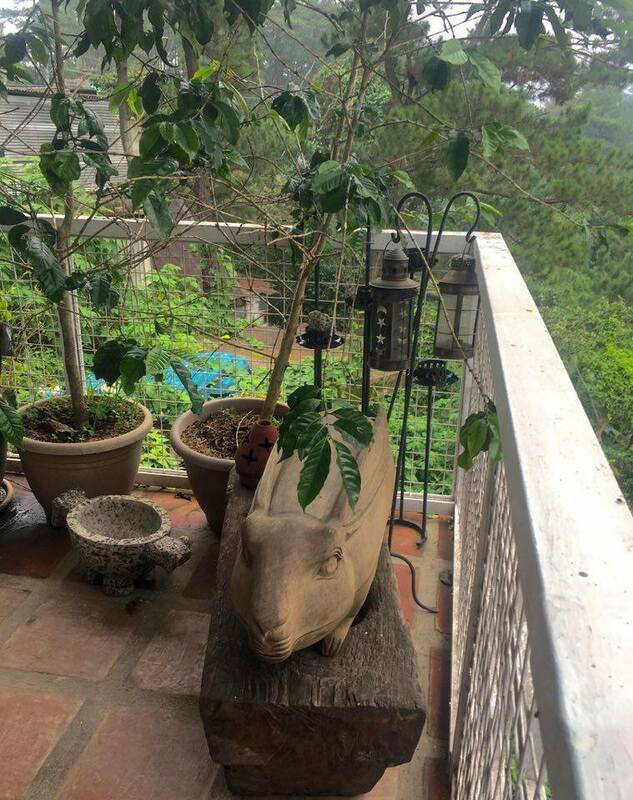 Luckily, I have a friend who told me about a cafe in Ambuklao Road that has a relaxing ambiance with overlooking verandas and serve "camote" or sweet potato pie. 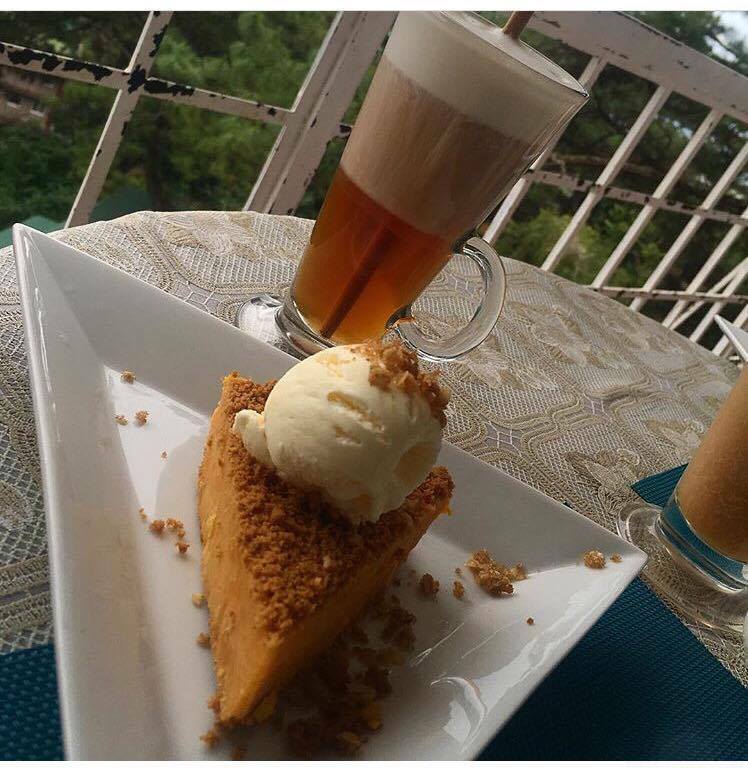 Baguio City is known to have cafe and restaurants that have relaxing and overlooking areas but the "Camote" pie, that I have to try. 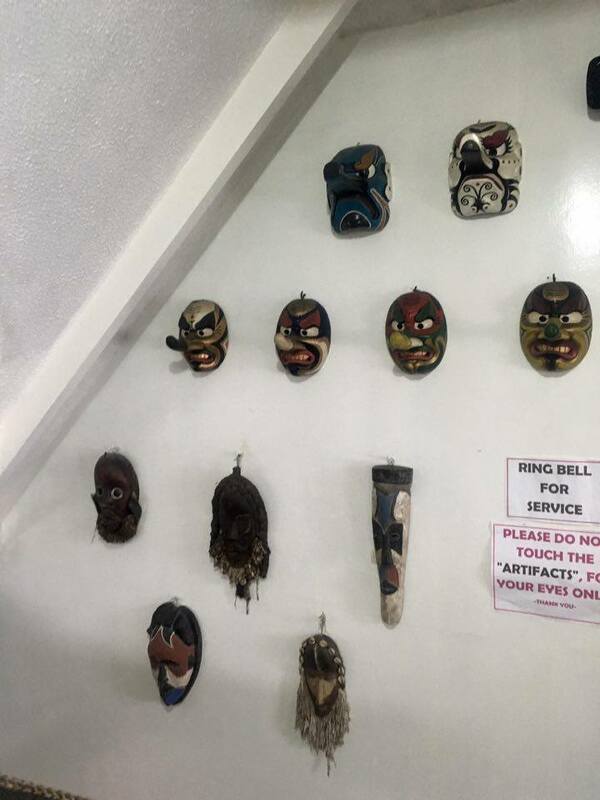 After being amaze by Ben Cab's work of art, me and my friends went to Arca's Yard Cafe at 777 Ambuklao Road, Baguio City. The cafe is far away from the city and residence area that's why luscious trees situated the cafe. 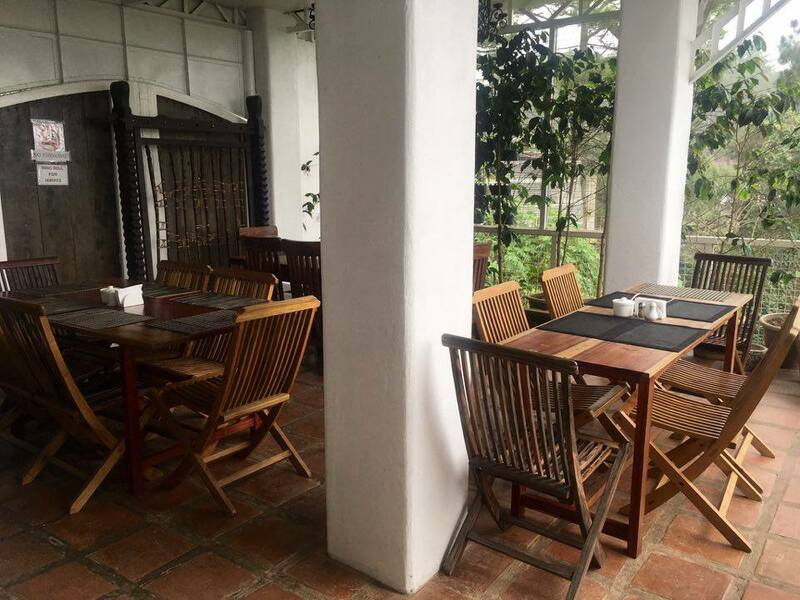 The cafe gave me a relaxing vibe when I saw the chairs and table in the garden, the wooden chairs and tables with ethnic interior design and low dining table with pillows but what caught my attention that day was the overlooking spot in the veranda with white chairs and table. They also have this cute love locks and pots before you enter the cafe. I love to put one but I don't have a partner, maybe on my next visit I can put one. 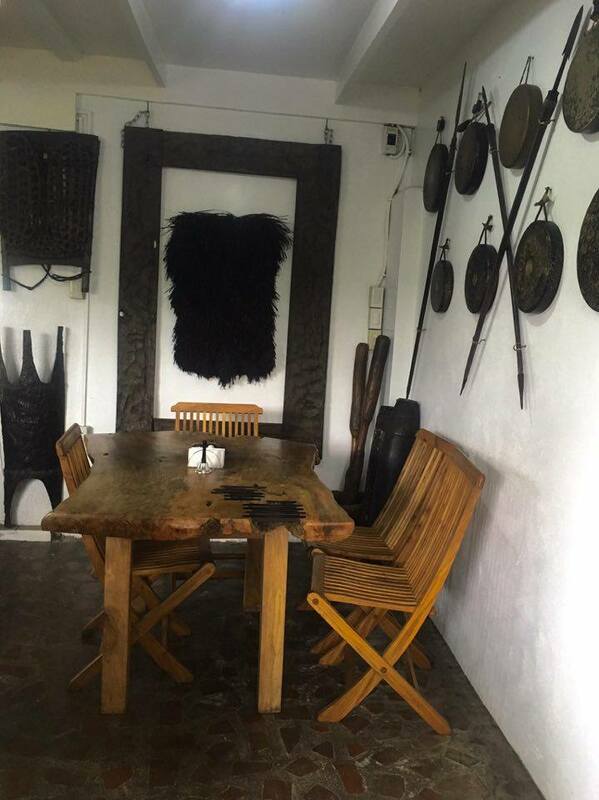 The interior of the cafe is full of wooden artifact from Cordillera. 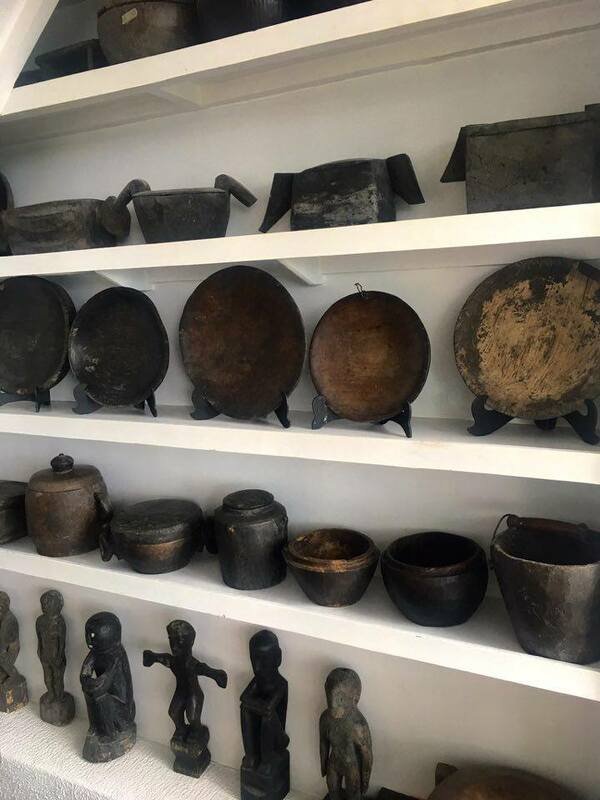 They have wooden plates, spoons, chairs, vases and mask as decoration . 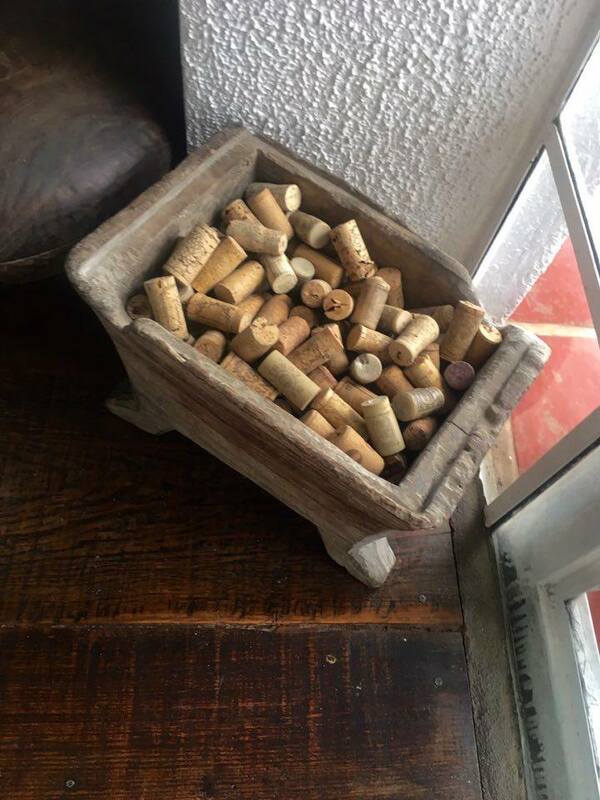 Who would have thought that used corks can look good on that? We settled in the veranda and indeed it was relaxing there. Seeing nature at it's best while the cold breeze touches my skin made me hope that Manila has one of this cafe. We ordered Camote pie a la mode and Cloud Tea with cream and wild honey. A slice of Camote pie will cost you PhP 95 or USD 2 and Cloud Tea is PhP 60 or USD 1.27. For a pie and tea the prices are affordable. 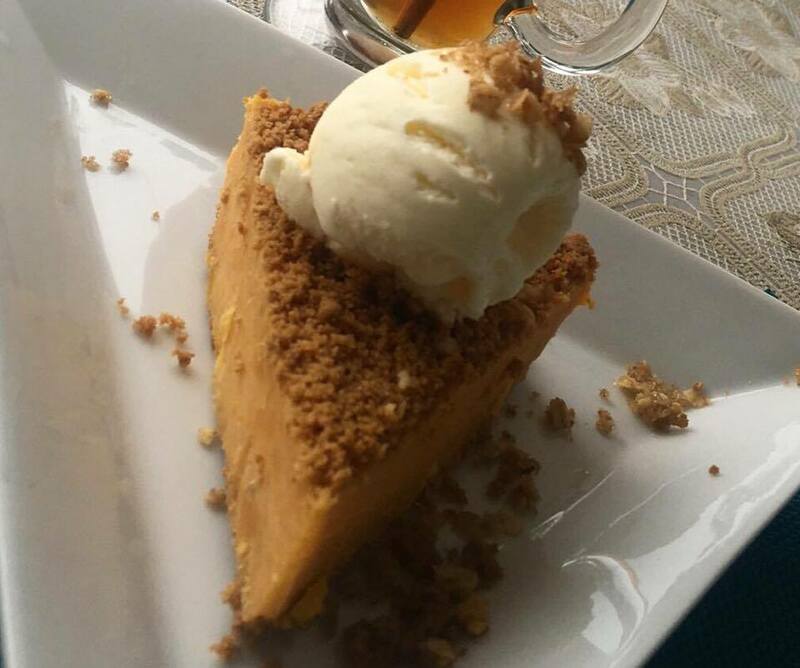 Camote or sweet potato pie a la mode has the taste of camote with the right sweetness even if I mixed it with the vanilla ice cream. I love cake and pies that are not that sweet and this one satisfied my palate. The pie's filling has a sticky consistency, it sometimes stick on my teeth but it is fine. Bits and pieces of camote are also included in the filling. The Cloud Tea with cream and wild honey has the relaxing smell of milk and it does not have the flowery or leaf taste of the usual tea. Instead Cloud tea has a bitter sour taste which is a bit weird for my palate but I find it delicious and authentic. 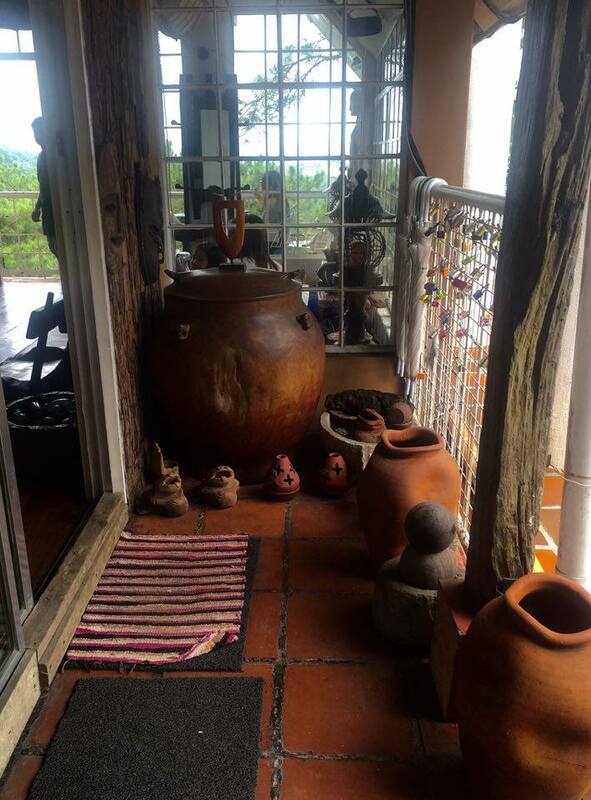 Arca's Yard Cafe is perfect for alone time, catch up with family and friends and enjoy nature while dining or sipping a cup of coffee or tea. Dishes are affordable. The camote pie and cloud tea gave my palate a unique delicious taste. The ambiance is relaxing even if they have some tribal ornaments. 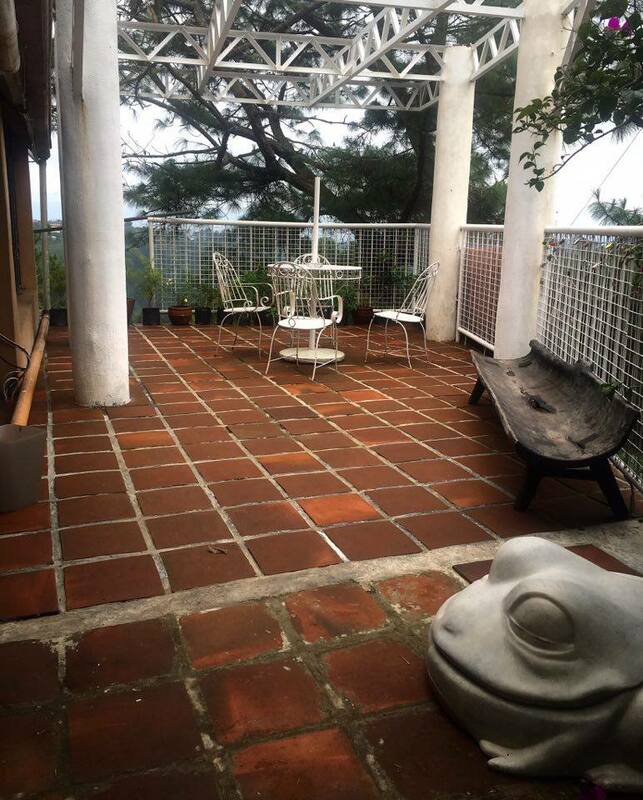 I will definitely go back to Arca's Yard Cafe on my next visit to Baguio City and try their other dishes. That is unique ha. I think if I get a chance to drop by, I would for two reasons. Coziness and to try a camote pie. Question, do they have wifi and do they have sockets for charging in the veranda? We're planning to go to Baguio real soon. I'm bookmarking this post! Yay! This place looks stunning!! And that looks delicious! Bookmarking this for the future! The cafe looks so pretty, I love all the traditional decorations. I have never had sweet potato pie before, but I bet it's delicious! I've never heard of kamote pie cake!! I should definitely try that when I go there. I'm in love with Baguio, and those wooden themes. Everything just spells "earth". 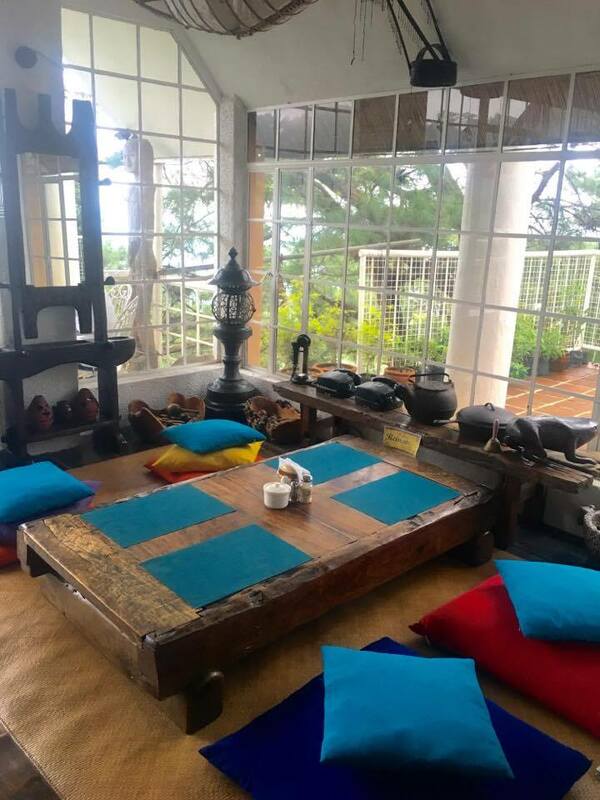 I love the simple yet unique interiors :) How come I only heard of this cozy place in Baguio now? Btw, love your new blog - the re-branding and all! Keep it up, Rowena! Wow! This is my kind of place, serene and relaxing. I also love their table setup. 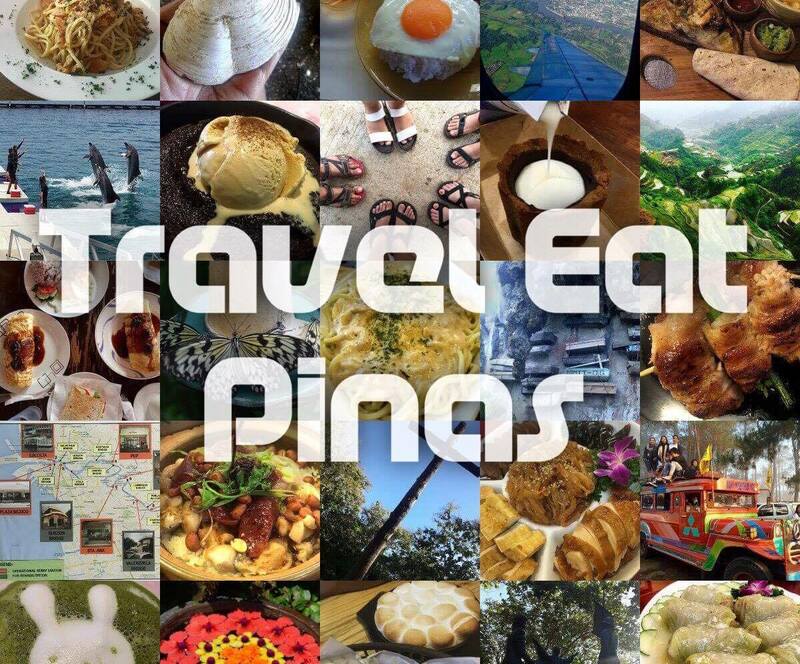 I will definitely include this to our itinerary on our next Baguio trip. Thanks for sharing! I've been into the summer capital of the Philippines for 3X. On my next visit, I'll try to dropby at Arca's Yard Cafe and have some Camote pie and Cloud Tea. Love good food with good view, this looks like the place for me! I GOT ENVIOUS!!!! 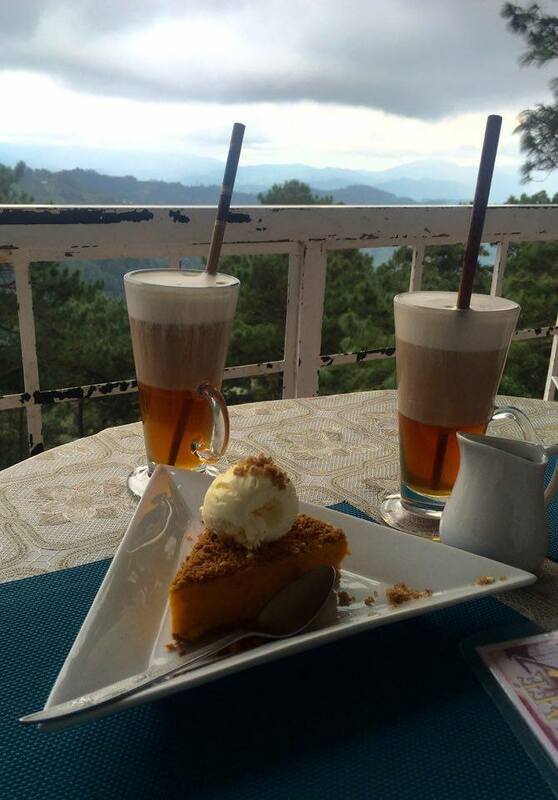 I so love cozy-whimsy places and I haven't been in Baguio since my sophomore year and the pies looks yumm! huuuu . I think I really should visit Baguio again real soon. Ooh, quaint place you have there. Would love to go do Baguio one day!